Alcohol toxicity occurs when alcohol is ingested in large quantities and is very dangerous. It is a medical emergency as alcohol toxicity; commonly called alcohol poisoning is fatal. Toxic alcohol includes isopropanol, ethanol and ethylene glycol. Due to the easy availability of alcohol and its addiction among people of the society alcohol intoxication is becoming increasingly widespread. Ethanol is commonly seen to be ingested during suicide attempts. This condition is commonly observed in the teenagers and adults. Alcohol toxicity / poisoning can lead to respiratory depression, aspiration, hypertension, and cardiovascular collapse. Its common signs and symptoms are confusion, seizures, brain damage, vomiting, slow and irregular breathing, pale skin, low body temperature and unconsciousness. Apart from binge drinking, ingestion of alcohol products like solvents, paints, anti-freeze agents, lotions and cleaning products even in small amounts may cause alcohol poisoning. Alcohol is absorbed by the body very quickly and thus it is important to know the dose before consuming alcohol or its byproducts. Treatment methods include oxygen supply, careful monitoring, preventing breathing problems and administering an adequate amount of fluids to prevent dehydration. Numerous studies have reported that turmeric has the ability to detoxify the body of toxic chemicals and thereby aid in the treatment of alcohol toxicity / poisoning. 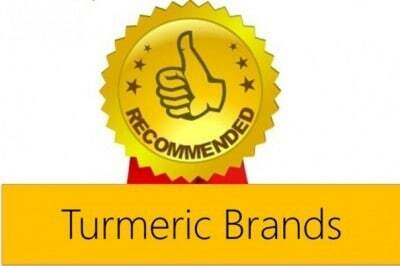 Turmeric has been known as a powerful medicinal herb for thousands of years. It possesses miraculous properties helpful in curing a variety of ailments. 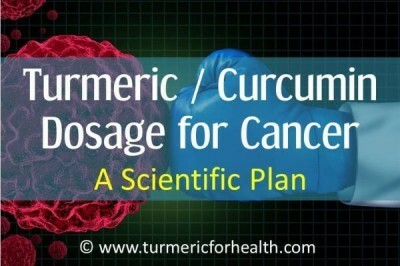 Curcuminoids are important constituents of turmeric out of which the most effective is curcumin. It has strong therapeutic benefits. 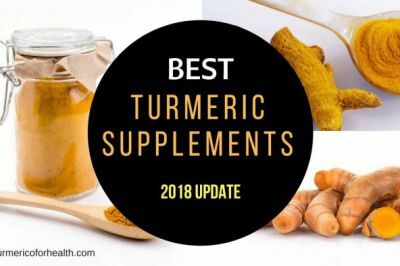 Turmeric supplements have been found to be effective in replacing various drugs that have side effects. 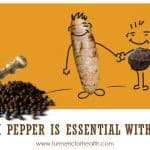 Turmeric is safe and has no side effects. Its consumption can prove to be helpful in treating alcohol toxicity with positive results. Turmeric has various pharmacological properties that can help reduce the adverse effects of alcohol poisoning. 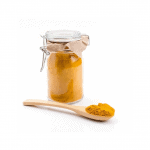 Curcumin is often known for its powerful anti-oxidant properties. This can prevent oxidative stress induced in the liver due to alcohol poisoning. Alcohol toxicity often leads to lipid peroxidation (damage to cell and tissue) which causes increased oxidative stress. 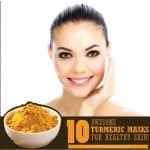 A study published in Oxidative medicine and cellular longevity confirms the anti-oxidant properties of curcumin for this condition. The study showed that curcumin up-regulates glutathione, an anti-oxidant and decreases lipid peroxidation hence preventing liver injury induced by alcohol. It was found to prevent the negative action of chronic ethanol and high omega-3 polyunsaturated fatty acids. Another study conducted by Rukkumani et al. in 2004 demonstrated the anti-oxidative activity of curcumin in alcohol-induced oxidative stress. The study found that a synthetic analog of curcumin used for the study significantly reduced lipid peroxidation and improved anti-oxidant status reversing oxidative stress induced by high levels of alcohol and polyunsaturated fatty acids. Turmeric elevates antioxidant defenses and helps in detoxification of adverse effects of alcohol addiction. Large amounts of alcohol may lead to severe inflammation of pancreas and brain cells, also called neuroinflammation. 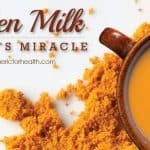 Studies published in Journal of Biomedicine and Biotechnology in 2009 show that curcumin possesses anti-inflammatory properties that inhibit the expression of nuclear factor kappa beta and downregulates levels of cytokines that are responsible for inflammation and liver damage induced by alcohol poisoning. According to an experimental study conducted by Ding et al. in 2017 curcumin suppresses the expression of specific micro RNA and cytokines that mediate inflammation. 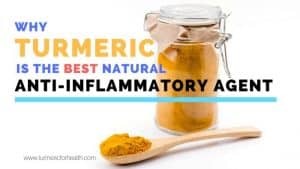 Curcumin is an important constituent of turmeric as it exhibits anti-inflammatory properties that inhibit the expression of microRNAs and cytokines that are responsible for mediating inflammation and causing damage to the liver and other tissues. Alcohol toxicity can have damaging effects on the body if not treated immediately. It is important to detoxify the body of alcohol as large quantities can damage the liver, pancreas and even the brain. A study conducted by Naik et al. in Journal of Ethnopharmacology evaluated the detoxifying mechanism aided by curcumin. The study reported that alcohol induces the release of large amounts of lactate dehydrogenase, high amounts of which leads to the toxicity/poisoning of the liver. The experiment results showed that curcumin significantly reduces lactate dehydrogenase levels and lipid peroxidation induced by alcohol thereby preventing the cytotoxic effects induced by it in the liver cells. It reduces acute and sub-acute liver injury induced by carbon tetrachloride. Curcumin helps in detoxifying various toxic chemical that may be present in the body are are induced by alcohol poisoning. 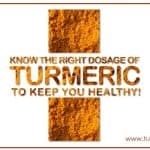 Ingestion of turmeric on a daily basis can prevent injury to the liver cells caused by toxicity. Neuroinflammation and brain damage is often induced in patients suffering from alcohol toxicity. 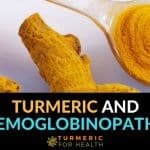 Curcumin, found in turmeric has multiple properties that can protect the neuronal cells and prevent brain damage. A study conducted by Cole et al. in 2008 reported that curcumin suppresses inflammation, oxidative stress and resulting damage to the liver caused by alcohol poisoning. 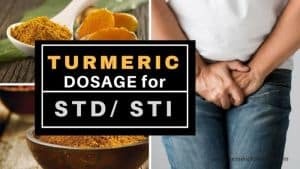 The study further emphasized that despite the difficulty of absorption by the body curcumin plays a highly effective role in protecting the tissues from oxidative damage in alcohol toxicity if it properly delivered. A study published in Phytotherapy research in 1999 evaluated the neuroprotective role of curcumin in alcohol-induced brain damage in animal models. The results of the study showed that curcumin reduced lipid peroxidation of brain lipids and increased levels of antioxidant, glutathione. Curcumin was capable of preventing brain injury in the rat models by its powerful antioxidant and lipid-lowering properties. Various research studies are available that depict the neuroprotective role of curcumin in treating neurodegenerative diseases. Its power antioxidant properties and ability to inhibit lipid peroxidation prevent brain damage that is often caused in alcohol toxicity. Alcohol toxicity is related to cognitive functioning. It has been found that this medical condition reduces cognition in normal individuals. However, according to researchers curcumin significantly improves cognition. 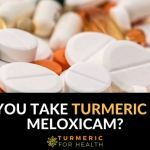 According to an experimental study published in Biogerontology in 2013 curcumin supplementation decreased malondialdehyde levels in the brain tissue thereby improving cognitive functions. Its anti-oxidant property prevents lipid peroxidation which also plays an important role in preventing cognitive impairment. Curcumin improves cognitive function by decreasing malondialdehyde levels and preventing oxidative stress in brain cells. This can prove to be essential in preventing cognitive impairment in patients suffering from alcohol poisoning. Alcohol toxicity leads to irritation of the stomach inducing pain and vomiting and gastric inflammation and ulcers. Turmeric has been found to protect stomach health which can improve the condition of alcohol poisoning. A study published by Werawatgonon et al. prevents gastric inflammation and gastric cancer by reducing levels of expression nuclear kappa beta factors that are responsible for it. Experimental studies published in Pharmacognosy Review in 2013 suggest that curcumin alters reactive oxygen species, nitric oxide synthase, peroxidation of lipids and excessive secretion of gastric acids that lead to gastric inflammation and ulcer. These parameters may worsen in alcohol-induced poisoning thus turmeric plays an important protective role in this condition. The anti-inflammatory and anti-oxidative properties of turmeric together help in protecting the stomach health from alcohol toxicity. Overconsumption of alcohol damages the liver and leads to three types of liver condition that is cirrhosis, hepatitis, and fatty liver. Turmeric plays an important role in protecting the liver from damage. A study published in Gastrointestinal and Liver physiology in 2003 demonstrated that when curcumin was administered to animal models it was found to inhibit levels of nuclear factor kappa beta that is responsible for the progression of liver diseases caused by alcohol. The study concluded that curcumin is capable of preventing alcoholic liver disease by inhibiting the production of this nuclear factor dependent genes. According to a study recently published in Agricultural and Biological Sciences curcumin decrease apoptosis of the hepatic cells and improves the expression of a group of proteins, PPAR-gamma (receptors that regulate fatty acid storage and glucose metabolism) thereby prevent liver injury induced by alcohol poisoning. Studies report that curcumin protects alcoholic liver disease by its antioxidant properties that are capable of reducing lipid peroxidation and oxidative stress. 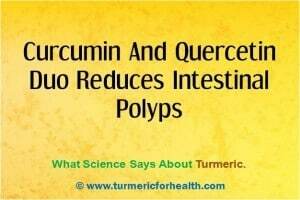 Curcumin in turmeric has hepatoprotective or liver protective property. This can protect liver health from alcohol toxicity. 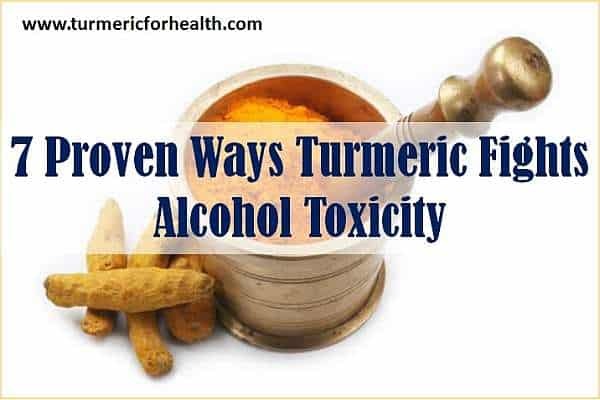 Dietary turmeric is safe and there is no ideal dose for alcohol toxicity however its inclusion in diet on a regular basis can yield positive results. 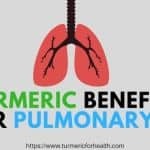 Consumption of turmeric must start with small doses such as ¼-1/2 tsp a day for a week and if no gastric side effects are seen an increase the intake gradually by ¼-1/2 tsp every week. The recommended dose is 1-2 tsp 2-3 times a day (precisely 1 tsp 3 times a day). 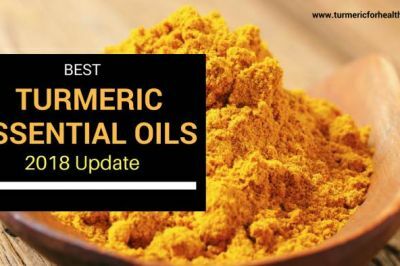 A general precaution needed to be taken before incorporating turmeric in the diet is that turmeric may have drug interactions with stomach acid reducing medication, antidepressants, blood sugar reducing drugs, etc. Curcumin, an active ingredient found in turmeric is known to interfere with drug metabolism. Hence it is advised not to take curcumin supplements concomitantly with any other medicine. 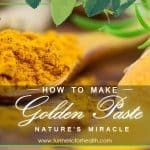 If you invite turmeric into your daily routine, you can begin to see miraculous differences within a very short time not only in this particular condition but also in terms of your overall well-being. 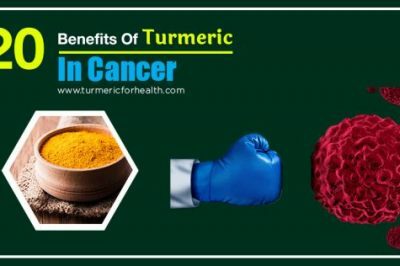 Turmeric has been vastly used in the past and is becoming increasingly popular in modern medicine that shows its power and effectiveness. Believe me, stocking up on this spice will not let you down. As Indians our ancestors are more scientist than any one in the world and they made our food as medicine and maintained health of our community. Nowadays these junk foods in the name of fast foods spreading all types of diseases to the entire humanity in the name of advancement in our way of life. However this type of articles to be written and see it reaches the women in particular who are vested with liberty to cook for the family in every day life. NF-kB factor (Nuclear factor kappa B)—–I think it is Necrosin factor not Nuclear factor…right? Great info Keshav. 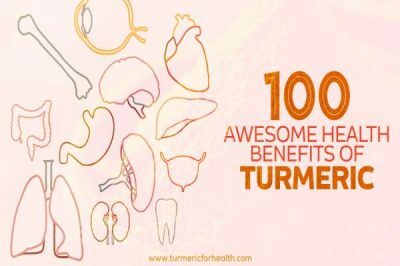 After being on turmeric tea for a couple of weeks I did notice that alcohol hangovers didn’t affect me as much. Magic stuff! I have noted the errors and would ask the developed to look into it.